Centrally located just 4 minutes walk from bus and railway stations and only 2 minutes walk form the High Street. All our rooms are spacious and accommodation, with en-suite. 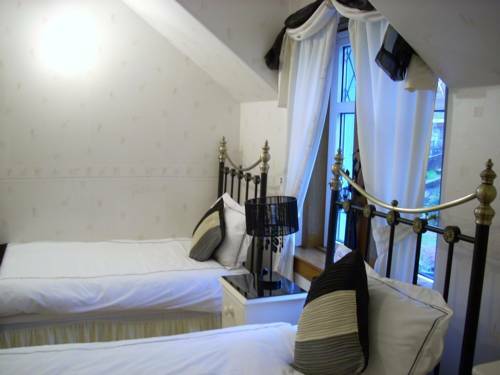 Hotel includes fabulous 4 poster room, with en-suite corner bath for those who want that little extra spot of luxury. 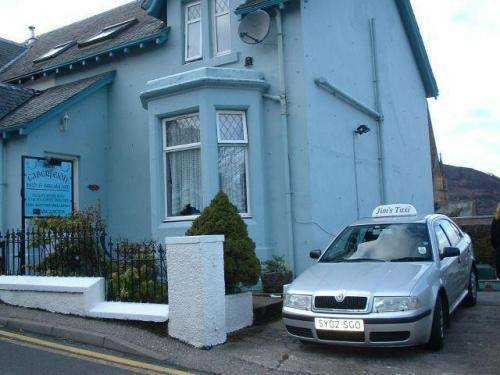 Full cooked Scottish breakfast included or Continental breakfast prepared lovingly. Should you require, we can cater for vegetarians. Children welcome, pets allowed by arrangement. Parking permit given on arrival for on street parking no charge. Coming from the south by car on the A82 you come along the lochside until you reach the first roundabout.Take the town centre cut off.you can only go 200 metres on the High St and you will reach the pedestrianised area. Turn right here and you are in Fassifern Rd,go up the hill and as you come down keep to your left,you will reach a row of Victorian semi villas some of which are BandBs.We are the last in the row a blue house with a blue sign on the left.Coming from the north by car on the A 82 when you reach the 1st mini roundabout go straight ahead for the town centre, you then come to a 2nd mini roundabout take the town centre cut off.You will pass the Nevis Bank hotel on you left and also the leisure centre take the next small street on the left which says leading to Victoria Road, then turn sharp right along to the very end of Victoria Road then sharp right and sharp right again into our strreet Fassifern Rd.We are at the end of a row of Victorian semi villas a blue house with a blue sign on your left.